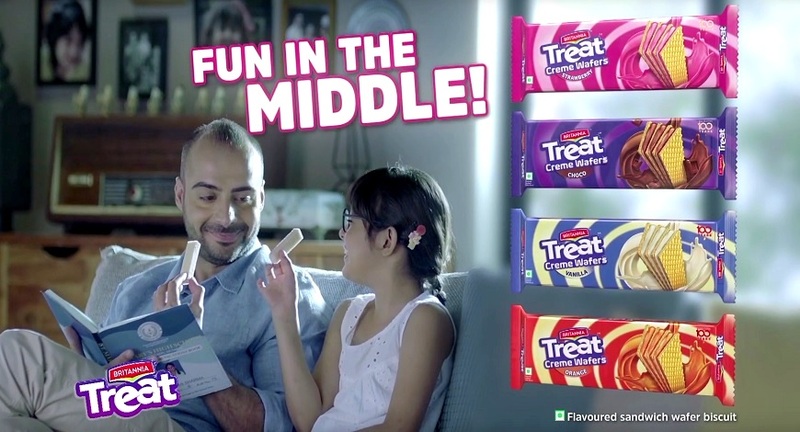 GREY group India has created a new campaign for Britannia Treat Crème Wafers. The campaign has been conceptualised by GREY Bangalore. When you get caught in a sticky situation, a dash of quick thinking and some delicious Britannia Treat Creme Wafers can help smooth things over. That’s the premise of the new films created by GREY Group India. Wafers have long been a light snack that made evening breaks interesting for kids. And Britannia Treat Creme Wafers’ alternating layers of crunchy wafer and delicious cream kindle the mischief that is inherent in children. The films begin with kids getting caught in sticky situations. One look at the pack of Britannia Treat Wafers gives them inspiration on how to get out. With one lie after another, they explain away their mischief and create a Britannia Treat Creme Wafer in their imagination. In the end, they make peace by offering their antagonists the wafer that formed in their head. Speaking about the films, Gautam Bhasin, Group Creative Director, Grey Bangalore says, "The idea for the films came from the insight that children are great at spinning yarns. Their imagination is akin to the product attribute of wafers, one layer on another. So, in the films we let the kids create layers of fun, drawing a parallel to the structure of the wafer." Britannia wafers are targeted at children within the age group of 7 to 13 but are available to all those who are young at heart and want to enjoy its delicious flavours.